A peanut butter & banana version of Reese's! Combine melted coconut oil, cacao powder and stevia. 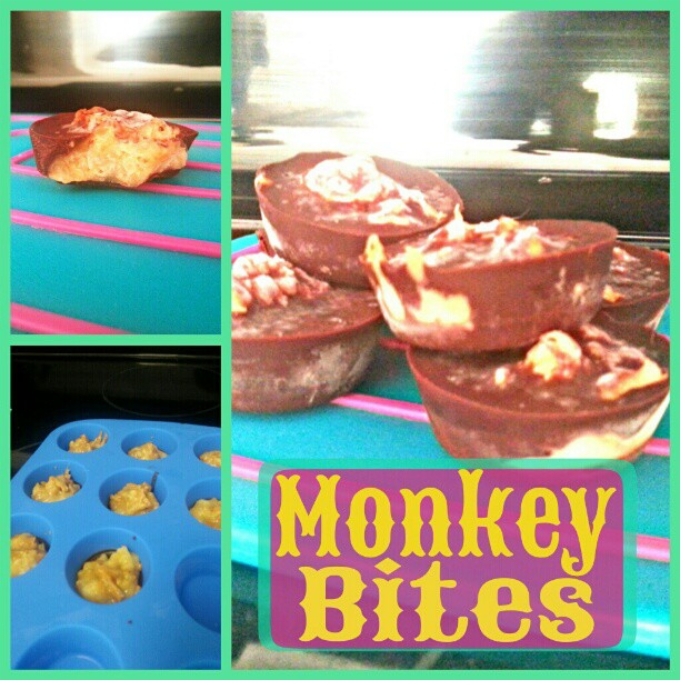 Distribute about half the mixture into 8 mini silicone muffin molds. Freeze for 5 minutes to partially harden. Combine the peanut butter and banana. Top each with some of the peanut butter mixture, and then with the rest of the chcoclate mixture. Freeze for 15-20 minutes.